The Zone • View topic - The Planet Kryptun! & The Syfy Reboot! The Planet Kryptun! & The Syfy Reboot! Last edited by TheButcher on Thu May 11, 2017 2:15 pm, edited 1 time in total. Re: The Planet Kryptun! on Syfy! Game of Thrones meets Superman with SyFy production quality. Did Battlestar Galactica really look better than most of the crap this channel produces now, or am I just letting my feelings and memories upgrade the quality? Fievel wrote: This looks horrible. Re: The Planet Kryptun! & The Syfy Reboot! Brian Steinberg & Addie Morfoot wrote: The people who run one of NBCUniversal’s bigger cable networks have come to a unique understanding: The world of sci-fi is bigger than Syfy. The network intends to place more emphasis on its Syfy Wire, a news and content hub once known as Blastr, and is likely to create TV programming based on that outlet’s mission to examine breaking news and trends across the world of science fiction. “This is what E News is to E!,” said Alexandra Shapiro, executive vice president, of marketing and digital, entertainment networks, for NBCUniversal Cable Entertainment. “It will give fans a reason to engage.” The network will become a home for more than a dozen Marvel super-hero movies, and will take part in a deal its parent company struck last year that make its networks the home for all eight “Harry Potter” movies as well as the new “Fantastic Beasts” series. And, of course, there are some new and ambitious original series (more on those later). “The genre has exploded over the past five years, which really presents a large opportunity for us to be able to talk directly to fans and bring them into our ecosystem and have them watch our original series,” McCumber said. There are economic considerations as well: Cable and satellite operators pay Syfy around 35 cents per subscriber per month, according to data from market-resesarch firm SNL Kagan. That amount is less than the fees accorded to outlets such as Time Warner’s TNT and TBS, and even Syfy’s NBCU sister USA. The reboot, which comes around the 25th anniversary of the cable network that has become famous for its reboot of “Battlestar Galactica” and a campy monster-movie homages like “Sharknado”(Syfy will continue its work with those movies, McCumber said), takes place as several of the nation’s big media companies are getting more hands-on with their cable operations in an era when distributors are looking at those networks more critically. Cable and satellite subscribers are giving more thought to cord-cutting, so cable networks must demonstrate they can cultivate loyalty from a broad swath of viewers and establish a connection that extends beyond the TV screen. NBCUniversal has in recent months unveiled plans to shut down its Esquire and Cloo networks, while retooling Oxygen so that it is focused more directly on true-crime programming. Viacom, which recently saw the large cable operator Charter move some of its best-known networks to a higher-priced programming tier, has said it intends to place more emphasis on six of its networks, including MTV, Comedy Central and Nickelodeon. Syfy is making several big swings with its original content. 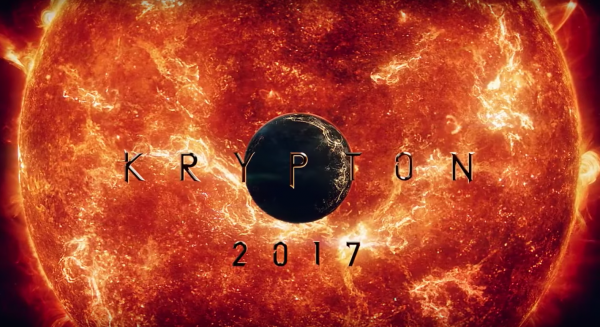 McCumber and his team have greenlit two series: the Superman prequel “Krypton” and “Happy!” a graphic novel adaptation starring Christopher Meloni as an intoxicated, corrupt ex-cop turned hit man and his imaginary blue winged horse, played by “Saturday Night Live” cast member Bobby Moynihan. The network will develop George R.R. Martin’s “Nightflyers” with Universal Cable Productions. Based on a Martin’s novella, the series is set in the future on the eve of Earth’s destruction. The series is being developed with executive producers Gene Klein, David Bartis and Doug Liman of Hypnotic. “Nightflyers” joins previously announced projects in development at Syfy including “Brave New World,” with Steven Spielberg’s Amblin Television, and “Hyperion” being developed with Bradley Cooper, Graham King and Todd Phillips. As part of the proceedings, the network has also gotten a face lift. Syfy’s purple logo has been replaced with a sleeker black and yellow typeface. The new look will debut on June 19, and was crafted with branding agency Loyal Kaspar. The advertising agency 72nd & Sunny worked with Syfy on developing its strategy.